Canada’s Barrick Gold’s (TSX, NYSE:ABX), the world’s No.1 producer of the precious metal by value, has confirmed it’s selling a 50% stake in its Veladero mine in Argentina to Shandong Gold Group in a transaction worth $960 million. 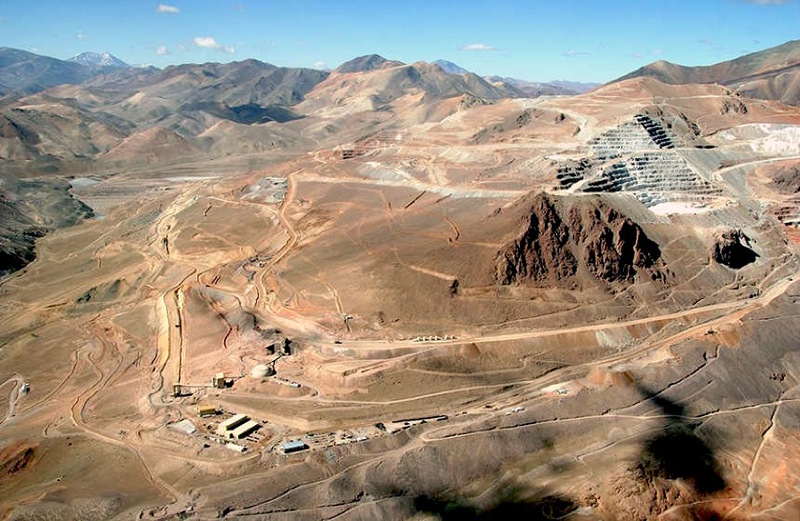 As part of the deal, which makes the two firms strategic partners, the Shandong province-based gold miner will help Barrick move forward with the long delayed Pascua-Lama gold, silver and copper project, straddling the border between Chile and Argentina. Both companies, Barrick said in the statement, will also evaluate additional investment opportunities in the area, known as El Indio Gold Belt. As part of their new partnership, the two firms will look at developing the stalled Pascua-Lama gold, silver and copper project, straddling the border between Chile and Argentina. “Shandong is an ideal partner to help us unlock the untapped mineral wealth of the El Indio Belt over the long-term, while working with us to generate more value from the Veladero mine today,” Barrick executive chairman John L. Thornton said while signing the agreement. "Today is the realization of a China Dream that Peter Munk, Barrick's iconic founder, and I have shared since he first approached me about succeeding him as Chairman of Barrick," he added. Thornton noted the two companies met for the first time in April 2016, adding he could not think of a better way to celebrate their one-year anniversary. Once the transaction is complete, a Joint Venture board consisting of three nominees appointed by each company will oversee Veladero mine. In order to ensure continuity of operations, both firms intend to maintain the mine’s current management team, they said. The news comes barely a day after media reports hinted the two miners were about to announce a deal. In the last few months, the Toronto-based miner has been aggressively looking to strengthen its position in Latin America. In September, the gold miner appointed a new executive, George Bee, to lead the development of the Argentine side of the mothballed Pascua-Lama project. A few months later, it hired a new director for the region — Pablo Marcet — with decades of mining experience in the geographic area. And just last month, Barrick announced a 50-50 partnership with Goldcorp to develop projects in northern Chile, including Cerro Casale, one of the world’s largest gold-copper deposits. Shandong, with a market value of almost $10 billion, produced 1.2 million ounces of gold last year. Its flagship project is an underground mine called Sanshandao.